Availability: This product is discontinued and no longer available for purchase. For alternatives browse our Prince department. Once you open the magnetic closure, inside you'll see a zippered compartment with terry lining and a side compartment with velcro strap, which could hold a small laptop. Inside lining features tonal print of Prince logo and tennis ball. Says Sharapova, "First, they are supreme quality tennis bags and totes designed specifically to meet the needs of players. Second, they are gold and who doesn't love gold? It is always in style and these bags look fantastic when they are over the shoulder or in your hand." 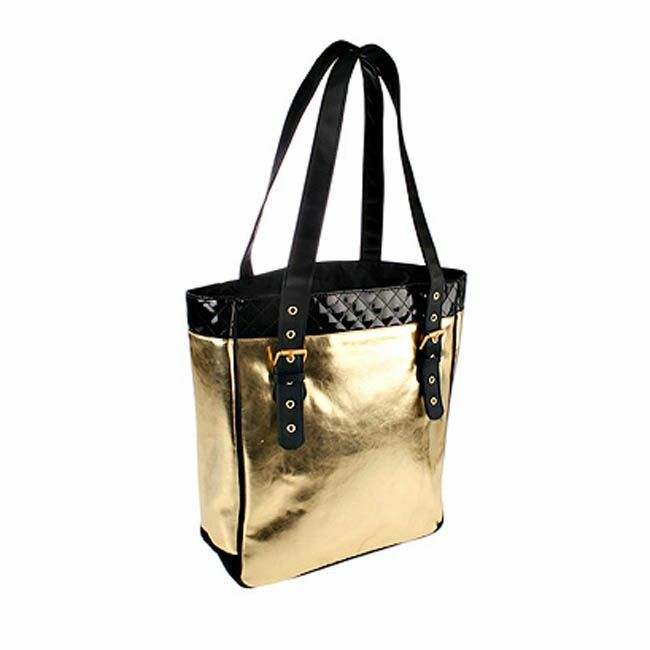 Dimensions: L12" x H15.75" x W5.5"
for submitting product review about Prince Sharapova Tote Bag - Gold.